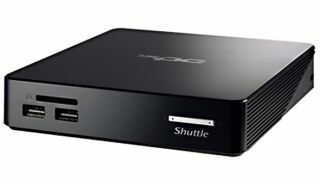 The What: Shuttle Computer Group has unveiled its latest line of ARM-based media players, the XPC Nano NS02, designed for standalone digital signage when a simple playback is required. The What Else: The NS02 series supports 4K Ultra HD displays for crisp ads and images. They are pre-installed with Android 5.1.1 and Shuttle’s software DS Creator 2.0 so users can easily schedule and dispatch content to any of the NS02 series players through their mobile devices. The NC02 Series offers plug and play simplicity, so users can get multimedia or document files on their displays and incorporate digital signage fast. The NS02 series is equipped with Rockchip RK3368 octacore processor, which helps increase battery life. Its compact design with built-in DDR3L 2GB low-voltage memory helps reduce power consumption of the system. These new players also offer an auto recovery feature, which protects content in the event of a system-wide power failure. When the power is cut, these players “park” the existing memory data, so when power returns, the player is ready to resume without risk of data corruption. Shuttle’s new NS02A and NS02E vary by power supply options. The NS02A comes with a standard power adapter, while the NS02E can be powered by PoE. This feature allows users to easily do on-site installation without additional wires required with an AC adapter. Shuttle offers a three-year limited warranty on all its products. Available this month, the NS02A expected to sell for less than $150 and the NS02E less than $170. The Bottom Line: The XPC Nano NS02’s 0.5-liter form factor, VESA-ready mount, and robust, fanless design allows for virtually silent operation easy mounting behind virtually any monitor.